Vimal Premium Trouser Fabric for Men – Stylish and sophisticated, A fine clothing fabric. 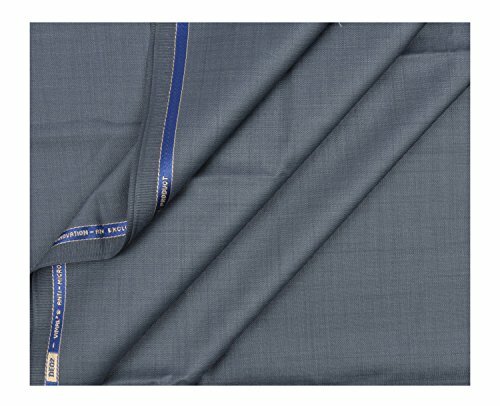 This highquality polyviscose suiting fabric features a Solid Self Design.Its lightweight Poly-Viscose (Polyester/Viscose) ,a versatile fabric makes it a perfect choice for Business Clothing, Trousers, Formal Wear, Party Wear, Casual and Evening wear. This fabric has a Soft Touch finish to it, making it feel like a very high-end fabric. This fabric is slightly absorbant, and is great for perspiration, making it feel even better on skin. This Pant Fabric is good for all Indian Seasons – Summer Wear, Spring Wear, Winter Wear or Autumn Wear. Package Content :: 1 Vimal Trouser Fabric for Men. The Perfect Look : A great style and perfect fit are instrumental for good dressing. Look cool & smart, feel comfortable and make the right impression with this trousers fabric from Vimal. Gifting : This Fabric will make a perfect gift for Weddings, Anniversary, or Birthdays. 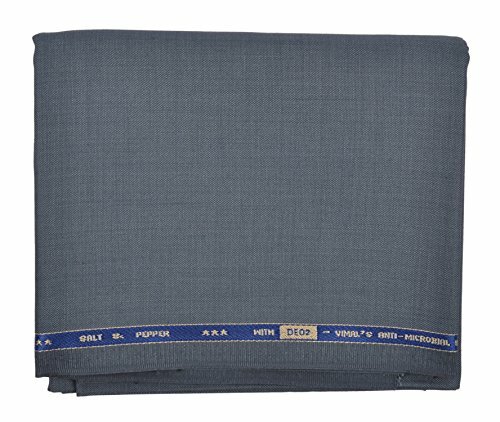 Now dont be confused on what to gift your Son, Father, Father in law, Son in law, Grooms on special occasion and choose this well crafted fabric to leave last longing impression. 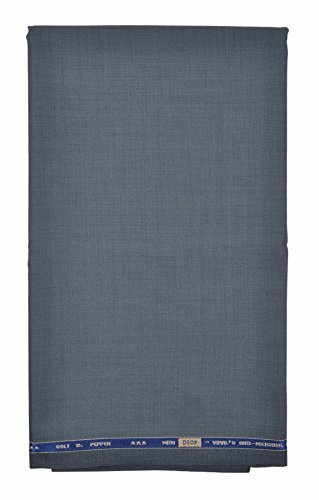 Occasion : This Pant fabric will make great for a Business Meeting, Formal or Semi-Formal, Party Wear, Evening or Any Casual Events. Pair it up with a Causal Shirt or Formal Shirt to match the Occasion. Quality Guaranteed: Fits perfectly after stitching and even after many washes.